They don't build 'em like they used to. Actually, they usually built them better, but they don't design 'em like they used to. Or so Gullwing-America figures. 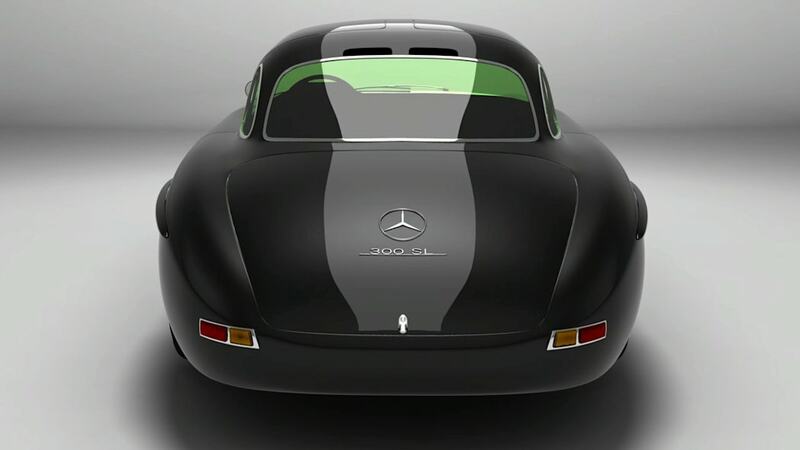 The classically-enamored garage is planning on relaunching the original SL's iconic shape with modern technology and fabrication in what could very well be the ultimate blend of old and new. 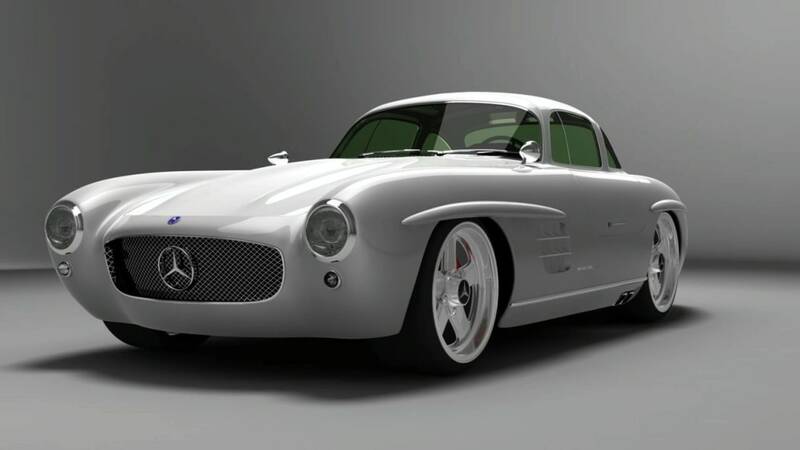 The 2009 Gullwing-America 300 SL Panamericana is the brainchild of Arturo Alonso, the same engineer behind the Bentley S3 E concept. 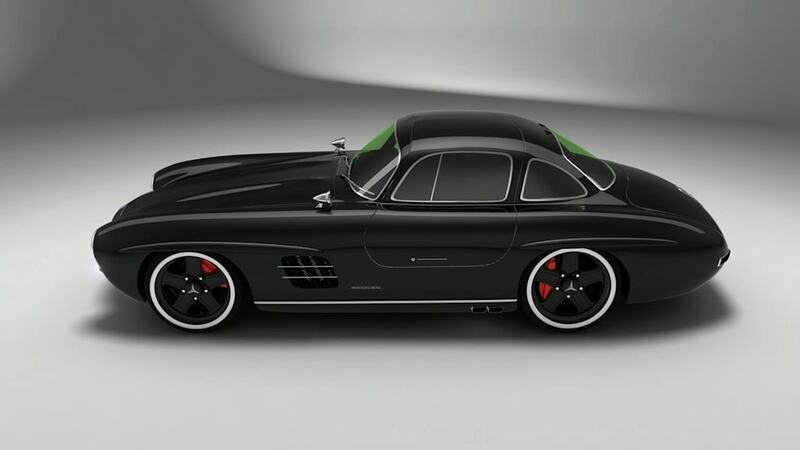 With that model already on its way to market, Alonso has turned his attention to the Gullwing. 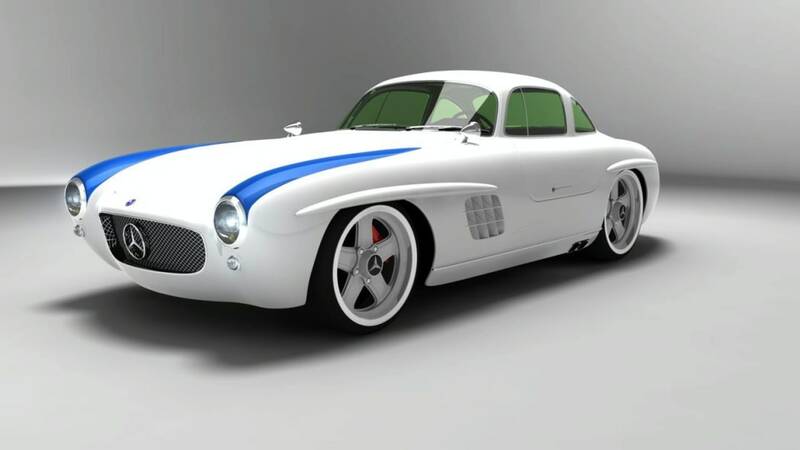 With a body of fiberglass-reinforced aluminum over a powder-coated steel chassis, the Panamericana will apparently draw its power from Mercedes' own M-133-55 engine, the same 5.5-liter V8 underpinning the SLR McLaren's supercharged unit, albeit tuned to produce 370 horsepower. Plans are also afoot to make a smaller V6 available, either mated to a six-speed manual or a seven-ratio Speedtronic automatic transmission. 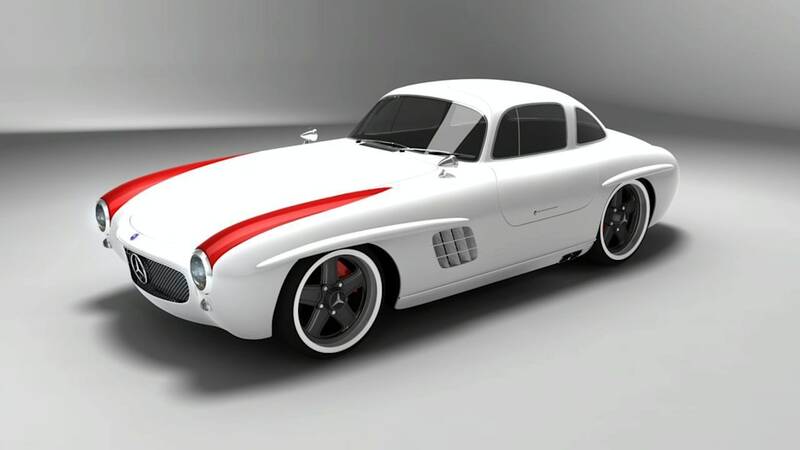 Riding low on 17-inch AMG wheels with a custom independent suspension, to our eyes, the 300 SL Panamericana looks a lot hotter than the camouflaged versions of the forthcoming AMG-tuned Gullwing, but they'll need some orders to get the project off the ground and on to the street. Follow the jump for the press release and check out the renderings in the high-resolution image gallery below. 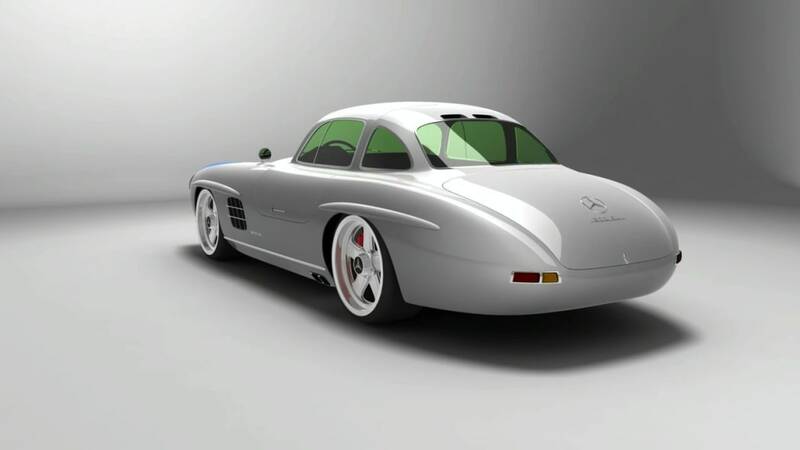 Here is the the rebirth of an Icon, the 2009 300 SL Panamericana, based on a Reproduction from Hoope'r, Gullwing-AG in Germany, who produce the closest model you can get to the real thing. 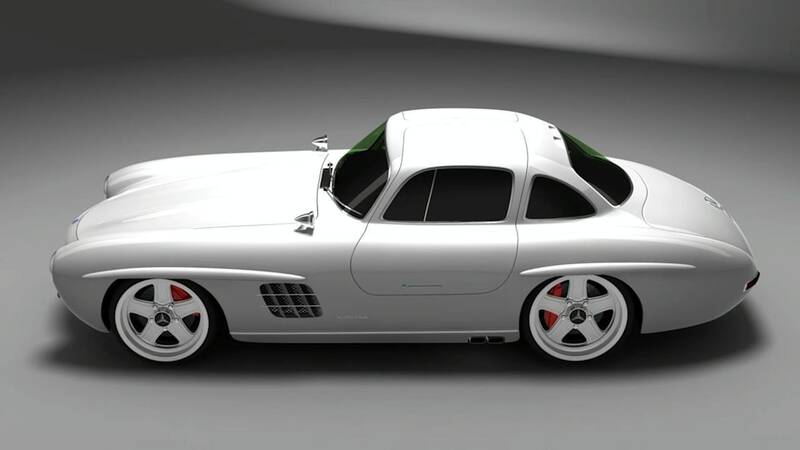 Arturo Alonso and his company, Gullwing-America , modified this already outstanding automobile into an exotic for the 21st century. 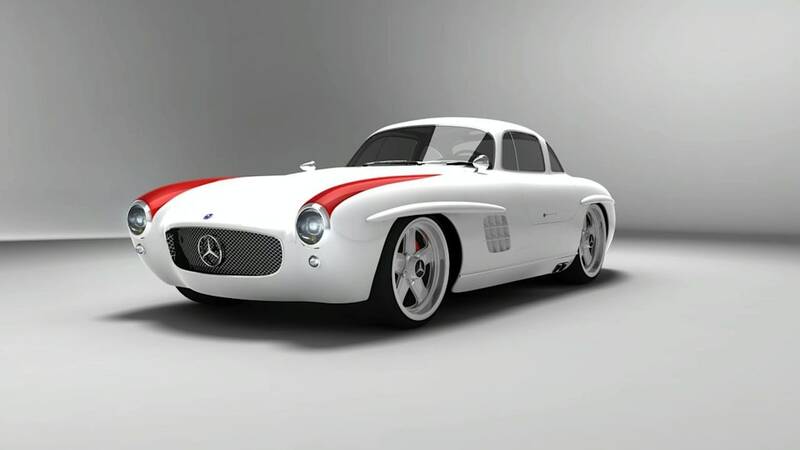 A combination of the Glorious Carrera Panamericana cars of the 50's and new technology, they came out with this incredible sports car, Alonso himself raced the Carrera for years in a Mercedes 300SE, where the passion for this legendary Race and the Mercedes was born. 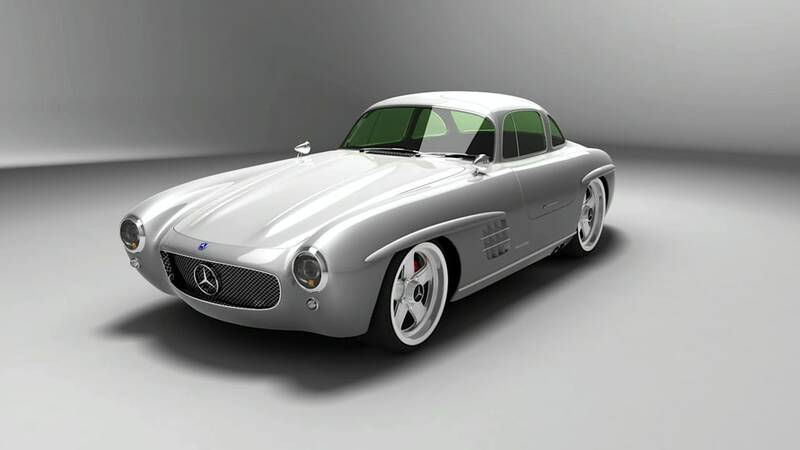 The 300SL body is constructed with the use of aircraft composite technology. This construction comprises of a sprayed layer of aluminum to a thickness of .5mm into the mold over which an epoxy adhesive is laid and several layers of 7oz woven glass cloth are then applied with epoxy resin. 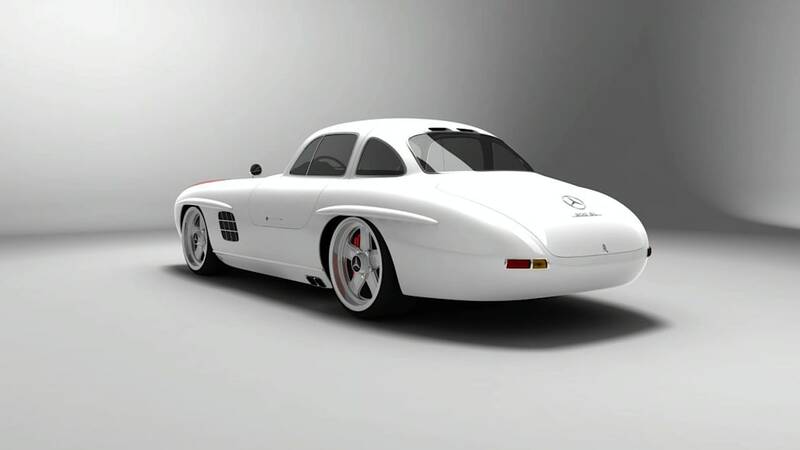 Chassis is made from RHS steel reinforced and powder coated, has independent suspension with adjustable coil overs, four wheel disk brakes, a 5.5 liter Mercedes engine, (M-133-55) the one used on the AMG Mercedes models and the SLR, mated to a six speed transmission, special made radiator and exhaust system. The Panamericana will have a re tuned electronics raising the HP about 370, 530nm of torque @5400RPM. The car will sit lower, have speedtronic transmission, side mufflers, no bumpers, a special grill, four spoke leather steering wheel with power assist, a start button, A/C , a four point harness, Becker Mexico Radio with CD and I pod adapter, and fitted leather luggage. It also includes specially made old school 17 X 8 AMG wheels all around with 235/45/17 Continental Sport contact tires, AMG calipers painted in red, HID headlights, and stripes on the fenders like the "Works" Cars from La Barrera. For 2010 there will also be the option for the new V6 Mercedes engine (M-272-E35) used on the 350 Models, which has almost the same power of the V8 ( 320HP And 360nm torque @4900RPM)) and could be ordered with a manual six speed. 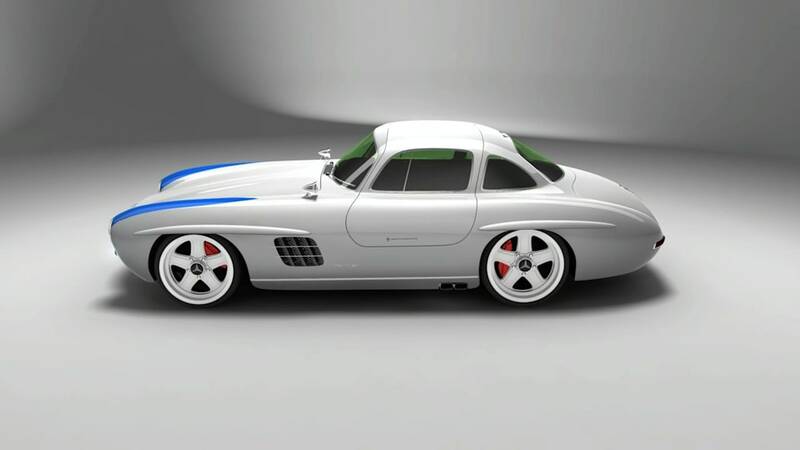 The cars will all be painted in silver with blue accents in the front fenders like the race cars of the Panamericana, there is the option of a white with red stripes and a Black version. The interiors will be red cover in leather and plaid cloth, typical from that model; The instrument panel is identical as the original 300Sl. 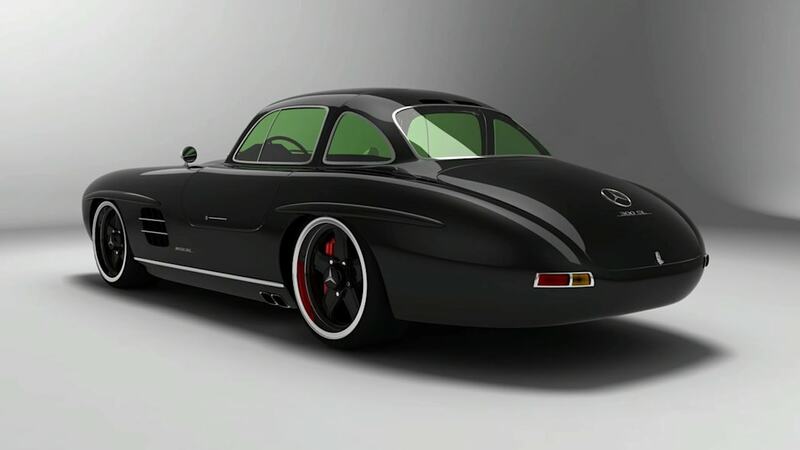 Gullwing-America thinks that this is a true rebirth of the legendary 300SL Gullwing. 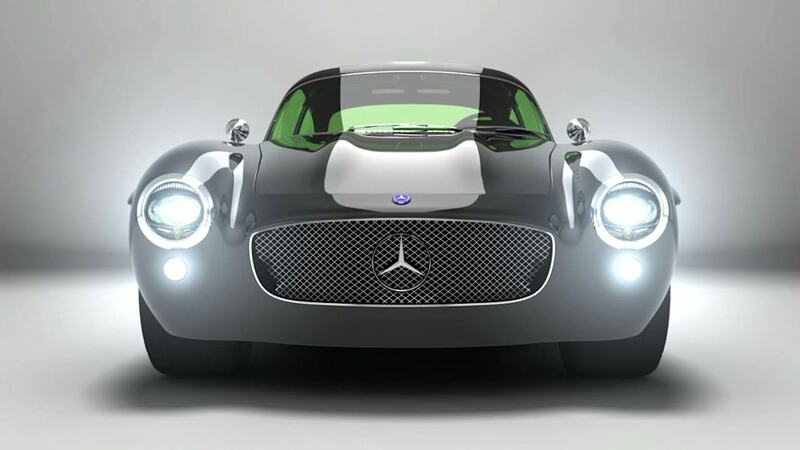 Updated with technology from 50 years later, the car will be more powerful and handle better than the original. It will be a very drivable car with all the convenient accessories like air conditioning, power steering, etc. from modern cars.